You are at:Home»Tickets at Disney World: How to Pick the Right Ones for You! Tickets at Disney World: How to Pick the Right Ones for You! You can select a ticket for the specific number of days you intend to be in the parks, or you can choose an annual pass. We’ll talk about all the options below. Remember, there’s no right or wrong answer when it comes to tickets. It’s more about finding what suits you best as you design your own vacation. And for some people it’s also about finding the most cost efficient solution. So we’ll talk about the various options, requirements and discounts to get you started. Adult tickets are required for all guests ages 10 and over i.e. from their 10th birthday. Child tickets are required for all guests aged 3-9 (the same birthday rule applies). Unsurprisingly, Adult tickets will cost more than child tickets. Children under the age of 3 are free. If they’re under three on the first day and they turn 3 during the trip, they’ll still be treated as under 3 years old. Annual passes do not have separate pricing for children. For non-Florida U.S.A. residents, tickets are available for 1-10 days. You’ll need to decide how many days you’ll need. For help planning out how many park days you’ll want, take a look at this article called How Long Should My Disney World Trip Be? The more days you buy, the more your tickets cost (naturally). The more days you buy, the less you pay for each day. Tickets for Disney World are now subject to seasonal pricing. This means that the dates you visit determines the price you pay. For example a one day ticket will cost you around $20 more on a projected high crowd day, compared to low crowd day. You’ll want to check Disney’s site to get an idea of pricing for the dates you’re planning to visit. Christmas, Easter, Thanksgiving week, July 4th week and most weekends are peak pricing. Low pricing is mostly weekdays in January, February, September and November. Most people do not have the luxury of choosing when they visit, due to work or school schedules, so the important thing is to find pricing for your dates, and to determine how many park days your budget will allow for. Direct from Disney in advance. Check out the Disney World site for pricing and purchase here. At the parks. You can buy your tickets at the gate when you arrive at the parks, but if you’re buying tickets for more than two days, they are slightly more expensive than buying in advance. Discount locations in advance. You can buy discounted tickets in advance from many different places, but be careful. Don’t ever be tempted to buy ‘second hand’ tickets – tickets from someone who says they can no longer use them, or they have a certain number of days remaining. It will be unlikely that these tickets are valid. Used tickets are non-transferable and entry to the park is based on a biometric finger scan assigned to the ticket. This also applies to tickets advertised on sites such as ebay or gumtree, and you cannot confirm that the tickets are unassigned and/or unused. Real discounts on Disney tickets are usually quite small. Also it’s not always the case that discount sites and businesses are cheaper than buying direct from Disney, so make sure you shop around before committing to buy. 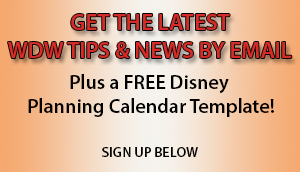 Check out our article called How to Get Discounts on Disney World Tickets. You’ll also want to read the article called Where NOT to Buy Your Disney World Tickets (Avoiding Scammers). Some sites will send you tickets directly, others will send you a confirmation with a reference number, which you need to convert to a ticket at the park. If you wish to make fastpasses prior to visiting, ensure that whomever you buy your tickets from will provide you with the ticket reference to link your tickets prior to visiting the parks, otherwise you will not be able to make advance fastpass reservations. TIP: If you buy tickets direct from Disney, there are a couple of perks. First, if you buy them while logged into My Disney Experience on their site or in the app on your mobile device, they will be automatically linked to your account. This saves time trying to ‘link’ your tickets yourself. It also means, if you have magic bands already, or you are staying in a Disney resort, you do not need to spend time in line to collect your physical tickets. Also, if you lose your tickets Disney will have you in their system and can find you. If you bought your tickets from someone else, and you realize you’ve lost them when you get to Disney, Disney can’t help you. Enter one park per day. Leave and re-enter the same park, as long as the park is open, and has not reached capacity (i.e. it is full). You cannot visit two parks in one day, and there are no water parks or other options included. Stay in the same park for one day. Leave and return to the same park. Visit multiple parks in one day. Why would you want to visit more than one park in a day? You want to redo rides and shows that you really enjoyed, but you don’t need a full park day to do it. You want to go back to a certain park to do things you missed, and you don’t need a full park day to do it. You want to go to one park for Extra Magic Hours, and another park for during regular hours. Some very experienced Disney World fans even visit all four parks on the same day as a kind of challenge. Fun Fact: The name of the Park Hopper ticket is why travelling from one park to another on the same day is referred to as “park hopping” in Disney World lingo. For example you might say “I’m park hopping from Magic Kingdom to Epcot.”. Park Hopper Plus tickets – These tickets offer you a set number of park days (during which you can hop) plus the same number of ‘Plus’ visits. The number of ‘Plus’ visits you have are the same as the number of days on your ticket. So if you bought 4 days of tickets, you could use 4 ‘Plus’ visits. While you do not have to use all your days consecutively, you do need to use them all within 14 days of the first day of use. This is useful if you want to combine your trip with the other attractions in the area, or you want to take rest/pool days in between your park days. You can do more than one ‘plus’ on the same day, on a day you also visit the theme parks, or you could essentially spend 8 days – 4 in the parks and 4 doing your ‘plus’ visits. Here’s an example of how it could work: Let’s say that you buy a 4 days Park Hopper Plus ticket. Now you have 4 days to go to the parks, and you can hop to any of the parks each day… PLUS during you have 4 days that you can also visit the places listed above. You have 14 days to use it from the first time you either visit a park, or use one of the ‘Plus’ visits. Suppose you were to start by visiting Blizzard Beach and then playing a round of golf at Winter Summerland. You would have used up two of your ‘Plus’ visits. Now you have 4 park days and two plus visits left. Annual Pass Tickets – Annual Pass tickets last a year, but park access varies depending on the level you choose. Annual passes are also available with different options. All annual passes offer complimentary parking and magic band, park hopper and discounts, such as reduced room rates. If you’ve already bought tickets, you can upgrade to an annual pass at any point before they expire. We’ll cover Non-Florida Resident Passes and Florida Annual Passes below. For Florida Resident Annual Pass information visit here. Out of state and out of country visitors can buy annual passes to Disney World. These passes are the top of the price range, but also include the greatest benefits. You can view Annual Pass offers on Disney’s site here. The annual passes include a lot of discounts. What’s more, there are even special events and free give-aways that only Annual Passholder’s can participate in. Why should everyone consider an annual pass (Even if only going on one trip)? Check out our article called Why an Annual Pass Can Save You Money (Even on one trip)! to find out why you should consider it. Florida Resident Discount Tickets – Florida Residents Get Discounts on Disney World Tickets & Annual Passes. Disney likes it’s Florida residents and has crafted all kinds of discount ticket offers to bring in Floridians. As with tickets, Annual Passes are less expensive for Florida residents. In fact, Disney has created a wide variety of annual pass options just for Florida residents. Visit here to explore the Florida Resident Ticket and Annual Pass options. Military Tickets – Walt Disney World offers military personnel dedicated military tickets. These tickets are available to serving and retired military personnel, and retired National Guard, US Coast Guard, Reservists, PHS and NOAA personnel. There are strict rules to avoid abuse of these special tickets, so ensure you understand these before you purchase. The most important is that while the eligible member or their spouse, is allowed to purchase up to 6 tickets at a time, they (or the spouse) must also attend the ticket window at a Walt Disney World park to activate the tickets. Up to that point the tickets cannot be used. Tickets are available for either 4 or 5 days and can be purchased as either Hopper or Hopper plus tickets. Anyone buying military tickets in advance, either in base or over the phone will be issued with a voucher or temporary ticket. These will need to be exchanged for real tickets when arriving at Walt Disney World. However, both have a reference to link to My Disney Experience (MDE), which allows holders to make Fastpass selections as per other tickets. The usual rules apply with Fastpass windows. 60 days if there is a Disney World Resort reservation linked to MDE, 30 if there is not. Shades of Green, the US Department of Defense owned resort is now included as a Disney World resort so Fastpasses can be made at 60 days if tickets/ vouchers are linked to MDE before this. Available for 7, 14 or 21 days, the tickets for UK residents are only available in advance, and to those who live within the UK. You cannot buy these tickets once you arrive in Orlando. If you’d like to see pricing or buy your tickets, visit Disney’s UK ticket sales page here. Tip for UK visitors: Disney does not offer special UK annual pass pricing, but you can buy their regular annual pass. If you are upgrading from a UK ticket to an Annual Pass, the only pass that matches all the perks of the UK ticket is the Platinum Plus. When you buy your tickets, you are required to give a start date for your trip, and your tickets will not be valid before. They are usually valid until the 31st December of the year you travel, so if you buy tickets for a trip in July 2019, but don’t use them at that time, they will expire 31st December 2019. If you buy a 7 day ticket, it is valid for 7 days of entry, within a 14 day period. However, 14 and 21 day tickets are valid for 14 days or 21 days respectively, from the first day they are used. Therefore if you’re going for 3 weeks, but only plan to enter the parks 14 times, you cannot buy a 14 day ticket and use this on your first and last day, as it will expire after 14 days. If you are from the UK and planning on doing less than 7 days in the parks, it is worth bearing in mind that a 7 day UK ticket is cheaper than a 6 day Base ticket, peak season. It is also cheaper to buy a 7 day UK ticket, than a 2 day Hopper Plus with memory maker added which makes this option the same as a UK ticket). Even if you don’t plan on using all 7 days, it’s not always cost effective to buy a ticket less than the 7 day UK ticket. It still might be less expensive to buy a 7 day ticket. You’ll want to compare pricing. Additionally, if you are planning more than one trip in 12 months, or you are staying off site for more than 18 days, an annual pass is cheaper than buying two sets of UK tickets, or buying the 21 day pass and paying for parking at the parks. In order to book Fastpasses in advance, if you are in the UK and wish to by an annual pass, you can ‘upgrade’ your UK ticket to an annual pass for the value of the remaining days on the ticket (i.e. its best to upgrade on your first day – and this gives you all the perks for the trip too). All you need to do is visit guest relations and pay the difference between your UK ticket and the annual pass you choose. 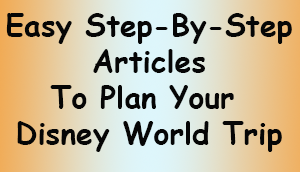 FOR ARTICLES WITH STEP BY STEP DIRECTIONS ON HOW TO PLAN YOUR DISNEY WORLD TRIP VISIT HERE. Thank you for the photos Gretchen Lavender, Casey Niedermaier Clark, Sandi Smith and Meghan Gorny!